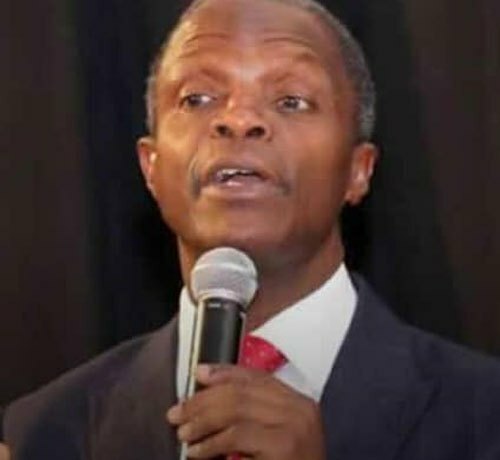 Vice President Yemi Osinbajo says that the Federal Government has implemented no fewer than 140 reforms on ease of doing business in the past three years. Osinbajo said this at the 2nd Presidential Enabling Business Environment Council (PEBEC) Awards 2019 held at the State House Banquet Hall on Wednesday in Abuja. He said he was delighted to celebrate the phenomenal successes of the PEBEC reforms and recognition of those who made it all possible. “The World Bank also reported in 2018 that 32 states of Nigeria improved their Ease of doing business environment led by Kaduna, Enugu, Abia, Lagos and Anambra,” he said. He said that in 2019, PEBEC set a goal to move Nigeria into the top-100 on the 2020 World Bank Doing Business Index (DBI) Osinbajo said that to achieve that, Nigeria would be pursuing the continued implementation reforms across all indicators. He said that the indicators included implementation of legislative reforms, specifically the passage of the new Companies and Allied Matters Act and the Omnibus Bills. The vice president listed others as the expansion of the regulatory reform program started with NAFDAC and NAICOM to include other regulators; the establishment of a National Trading Platform for ports; and the concession of our major international airports. “PEBEC has now commenced the fourth 60-day National Action Plan (NAP 4.0) on Ease of Doing Business. “NAP 4.0 is running from the 1st of March to the 29th of April, 2019. It aims to deepen the reforms delivered over the past 3 years and drive institutionalization. “We have highlighted key action items in all of the focus areas to ensure they do not unravel and to ensure we drive sustainability “Some of the targets achieved in the last NAP 3.0 include driving registration for utilization of the National Collateral Registry to facilitate access to credit for SMEs. “Clearance of all pending NAFDAC registration applications to improve efficiency; and creation of a strengthened single joint cargo examination interface in all airports & seaports for import and export to reduce the time spent at the ports. “NAP 4.0 will focus on initiatives such as enforcing compliance with SLAs across all indicators/focus areas, driving the passage of the CAM Bill 2018 for improved effectiveness of company law in Nigeria,” he said. He said that other areas of reforms were enhancing efficiency in the small claims court, and enhancing the application and approval system for visas on arrival, to mention a few. According to him, the council will continue to work extensively with all MDAs, the National Assembly and other key stakeholders. In her address, Coordinator PEBEC and Senior Special Assistant to the President on Industry Trade and Investment, Dr Jumoke Oduwole, said the award was to appreciate Ministries, Departments and Agencies(MDAs) which had contributed in the implementation of PEBEC mandate. On his part, Mr Okechukwu Enelamah, the Minister of State for Industry, Trade and Investment, said the award was a landmark in the journey of creating an enabling business environment in Nigeria. He said that PEBEC was a foundation for creating a Nigeria that the citizens deserved. The awards which came under various categories were also presented to various government agencies and private establishments which had creditably acquitted themselves in terms of reforms in ease of doing business. Notable among the awards was the World Bank’s sub-National Award for the Reformed States in 2018 which went to Anambra, Abia, Lagos, Enugu and the Kaduna States. Gov. Okezie Ikpeazu of Abia told State House correspondents that he was excited over the award and was dedicating it to God and Abia people. “But I must acknowledge the dark room team– the various ministries and departments and agencies that reformed and reformed quickly.